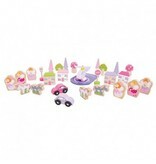 Add a sprinkling of 'fairy dust' to your railway network with this wooden Fairy Accessory Expansion Pack. 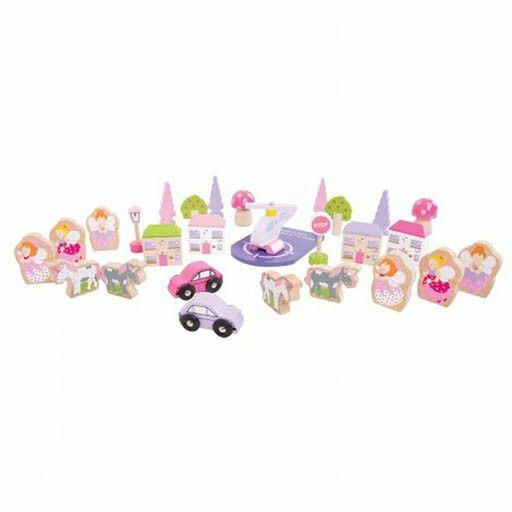 Includes houses, fairies, cars, a lamp post, stop sign, trees, toadstools, helicopter and heli-pad and magical unicorns, all in pretty pastel colors! Most other major wooden railway brands are compatible with Bigjigs Rail. Made from high quality, responsibly sourced materials. Conforms to current ASTM safety standards. Age 3+ years. Height: 50mm. Consists of 28 play pieces.